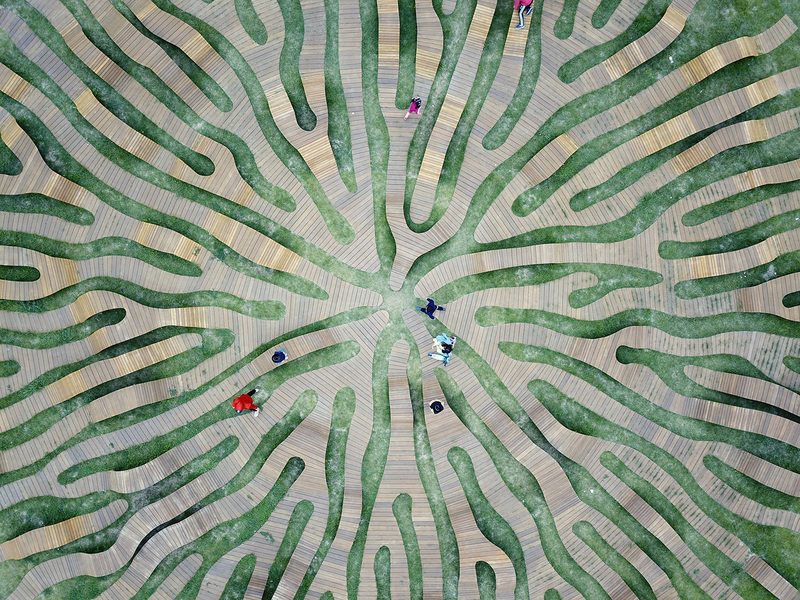 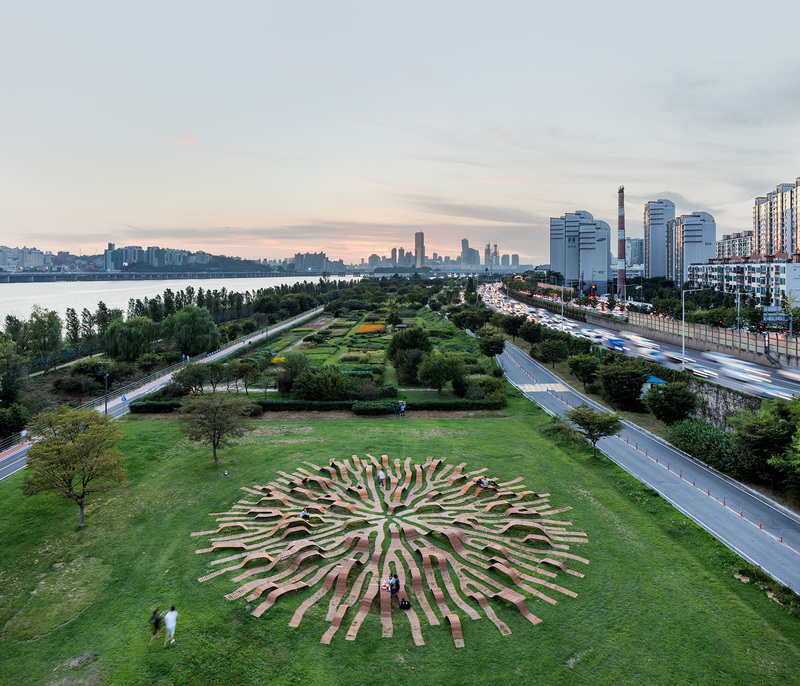 Sprawling out in a radial growth pattern, a bench in Korea seems to grow organically, stretching and stretching to fill a lawn in a public park. 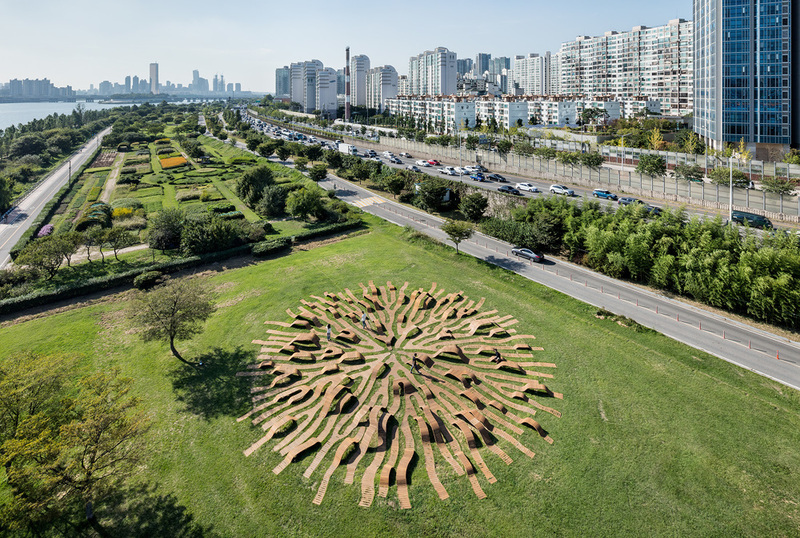 Designed by Yong Ju Lee for the Hangang Art Competition, “Root Bench” is technically not just one bench, but a network of dozens of them seemingly emerging from the grass. 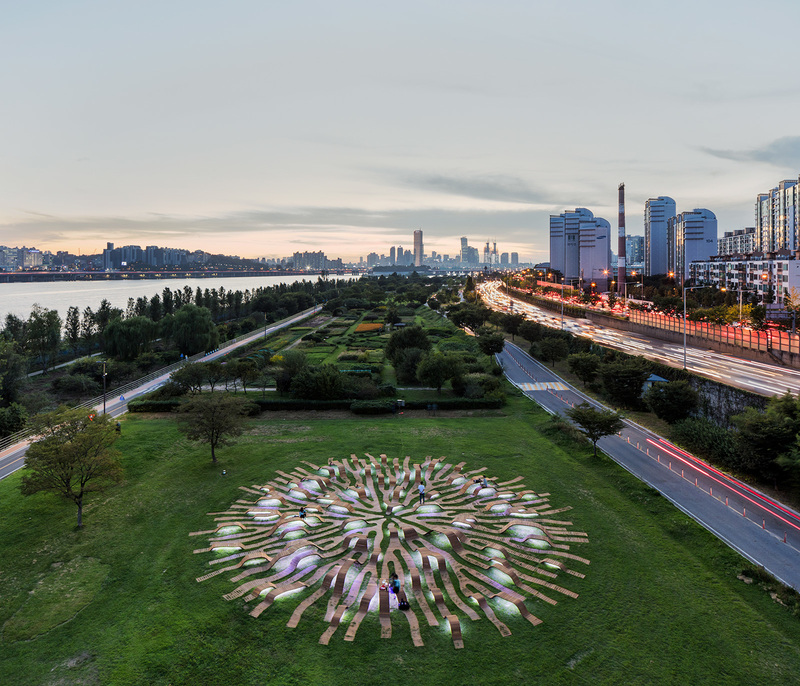 Measuring 30 meters in diameter (about 98 feet), the bench is part seating, part meditative walkway that elevates you above the ground in some areas and brings you back down in others. 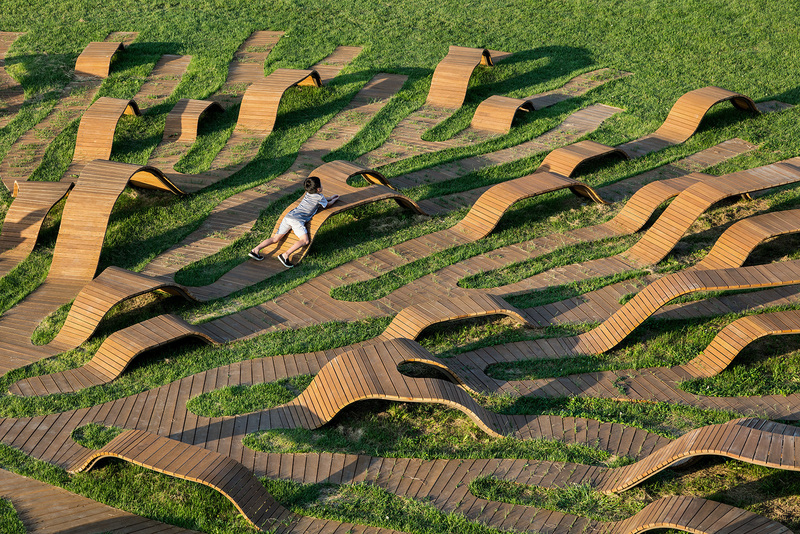 The designer integrated three different heights of platforms into the massive public sculpture: chairs sized for children and adults, and tables. 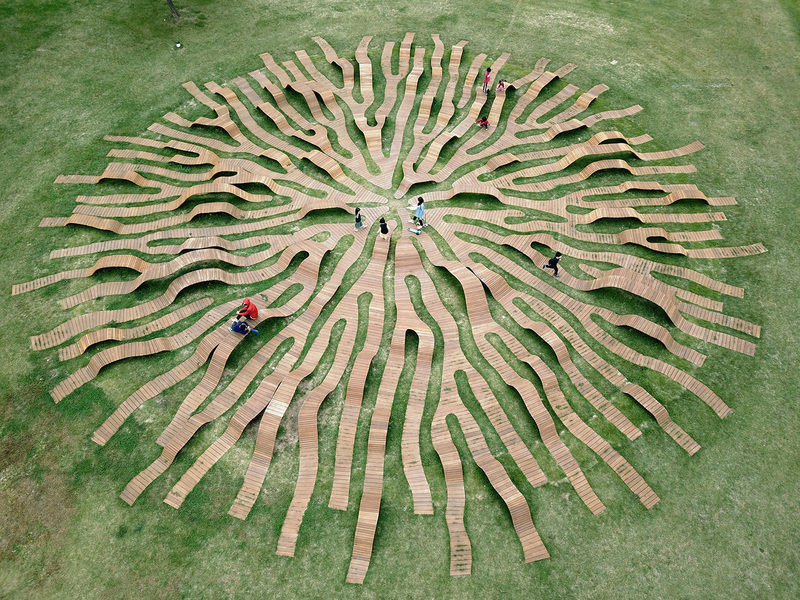 Yong used a computer algorithm to generate the the dynamic form, including its three-dimensional qualities. 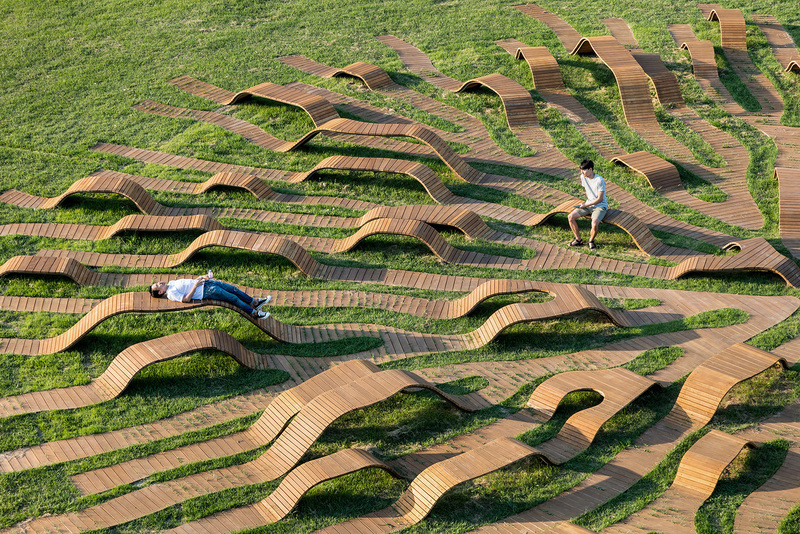 Made of a metal frame with concrete footings and wooden decking on top, “Root Bench” aims to provide “visual stimulus” and “spatial connectivity” that blurs the boundary between the natural and the artificial. 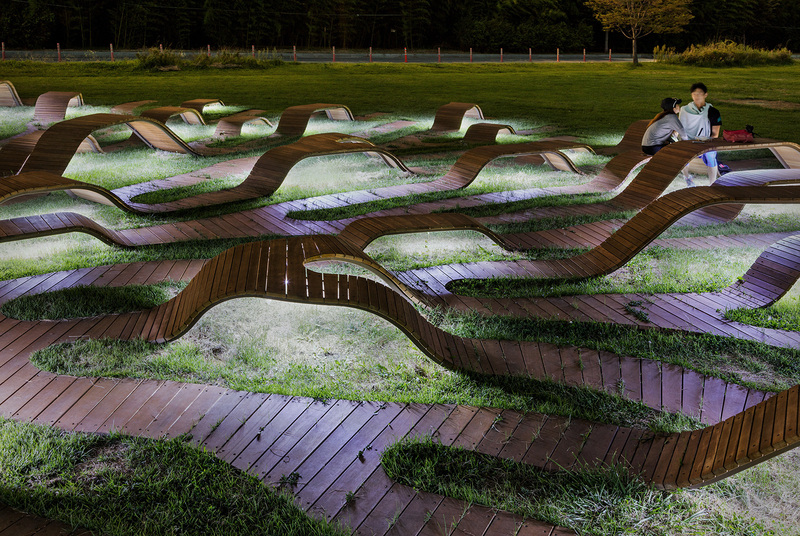 It looks especially cool when illuminated from underneath at night.